Today, PINK Street LLC announced several changes to its business that will transition its operation while capitalizing on successes. 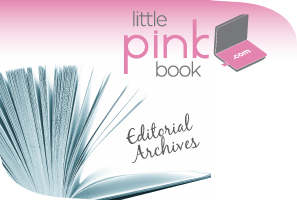 In recent months, Little PINK Book, PINK’s newest digital property, doubled its database of active, opt-in subscribers. The daily e-note, prototyped as “Daily Candy meets professional women,” currently goes out to career-focused women nationwide via 750,000 send outs per week and boasts click-through rates which are five times the industry average. In order to fully focus on PINK’s digital properties and event series, the August-Sept-Oct 2009 issue of PINK Magazine will be the final traditional print issue, hitting newsstands now. As part of a deal with Meredith Inc, MORE Magazine will fulfill PINK’s subscriber obligations. “The digital side of PINK (pinkmagazine.com) has become the most powerful way to deliver rich editorial content in a direct and timely manner to an audience of career focused women,” said Cynthia Good, founding editor and CEO of PINK. 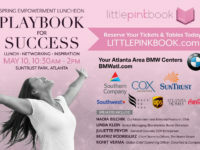 Through Little PINK Book, PINK’s goal remains the same: To empower women to create more success and joy in their work and lives. PINK also confirmed that MetLife signed on to be the presenting sponsor for PINK’s Empowerment Series taking place this fall in four major markets: Atlanta, New York, Chicago and San Francisco. The 2009 conference series includes half-day break out sessions and a lunch panel with a focus on education and leadership. Additional specifics for all four events will be announced in August.